All text below has been revised and condensed, please view original text at Aaron Swanson. This stability and mobiilty is dependent on an intricate passive and dynamic system. The passive system of bone orientation and joint congruency help to provide static stability when aligned, and flexibility when not aligned. The dynamic system of the muscles help to reinforce stability and allow for controlled flexibility (eccentric loading). 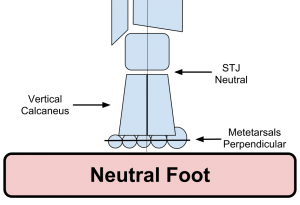 When there is an abnormality in the foot alignment or structural, the subtalar joint often compensates by altering the normal balance of stability and mobility. 3) Metatarsal Heads Perpendicular to neutral calcaneus/subtalor joint. …This is the position for optimal functioning of both passive and dynamic systems. Postural assessments should be viewed from all angles. Anterior view for frontal plane deviation (forefoot abduction). Oblique view for a good assessment of the arch and navicular height. Posterior view to display calcaneal and subtalar positions. I find it best to use a combination of these assessments. If you understand the possible types of pathomechanics and forefoot/rearfoot alignment it will make it easier to determine exactly which foot type your patient has. Finally, you want to analyze their gait to see how the patient dynamically uses their foot alignment and structure. The static postural foot assessment will help give you an indication of what you should be looking for during the analysis. You want to not only look for over or under pronation, but try to assess for 3 specific aspects of the dysfunctional motion (compensation). This is of paramount importance because it is the compensations that will dictate which structures you need to treat. Calcaneal varus is when the calcaneas is inverted with the subtalar joint in neutral (full contact) and the forefoot is perpendicular to the lower leg. This foot abnormality is more supinated at heel strike. These patients often present with decreased lateral (eversion) subtalor joint play. 1st ray plantarflexion for ground contact (calcaneal pressures are more lateral due to its inversion remaining). 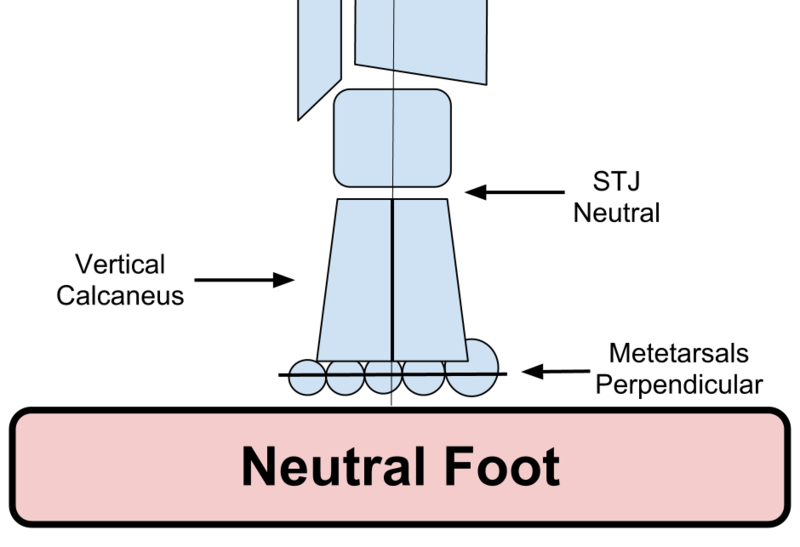 Forefoot varus is when the forefoot is inverted (big toe higher than 5th toe) while the subtalar joint and calcaneus are in neutral. This foot abnormality almost always causes over pronation. Joint play is often excessive. ‘Supination’ posture, lateral foot weight shift, 1st ray off ground.